As you lead your squad down the Ho Chi Minh trail you come across a seemingly abandoned village nestled within the jungle. All is not as it seems – the villagers have fled their homes in fear and the village is now teeming with hostile Vietcong. Air cover this far behind enemy lines is not available and a minefield encircles the village, which means you have no choice but to go straight through. Your mission is to seize control of the village, building by building. Tip: This is a very tactical game that can be played out in a number of ways. 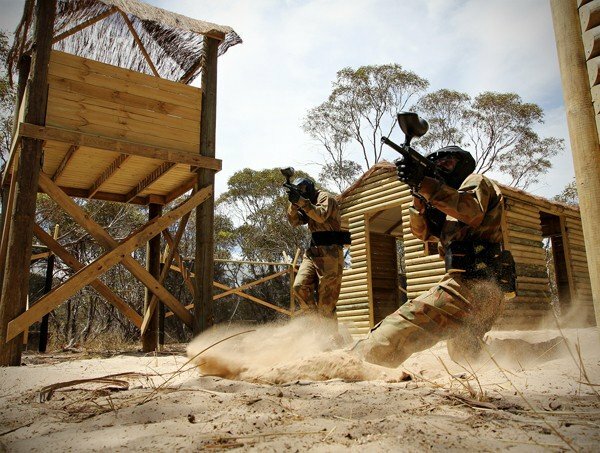 Don’t all crowd into the huts or you’ll easily be surrounded – instead make sure that your team are scattered throughout the game zone to maintain both a solid offense and defense.